Secure Restoration is very proud to announce the expansion of its repair and restoration service to Boynton Beach. There are few more trying times in your life than when you have to deal with a home emergency. The key to getting through such a crisis with a modicum of calm is to work with professionals who have the competence and experience to fix what has been broken and restore what has been loss. Secure Restoration offers high quality emergency and renovation services to those who need them. 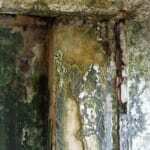 Mold growth is caused by the build-up of moisture. It can be difficult to prevent mold from popping up in different places throughout your house—especially your shower area—but it is possible to keep it under control. In most cases, the mold is light and low enough to wipe it down with a damp cloth. Mold can also be kept under control by keeping up certain practices such as drying the surfaces of the shower after you use it and shutting your windows when it rains. There are times, however, when mold becomes caked into the surfaces on which it has grown. This more hardened and crystalline mold presents a different kind of problem. Because it has essentially bonded with the object you will have a hard time removing the mold without doing damage to your wall or fixture. Tricky mold growth problems such as these require the aid and assistance of a professional mold removal company; Secure Restoration offers effective solutions for mold removal in Boynton Beach. If the mold in your home has thickened to the point that it cannot be simply wiped off, then you should call someone who can remove the mold. You need not take the chance of destroying something that is expensive to replace just to get at the mold. Secure Restoration offers the kind of solutions that will allow you to resolve the problem without incident. Effective mold removal Boynton Beach, FL. The mold in your home may have grown to a point beyond your ability to control. Perhaps mold has consumed an entire room in your home or infests some space in your shed or basement. For more severe cases of mold growth, mold remediation is needed. Secure Restoration offers a variety of excellent services in mold remediation in Boynton Beach. If you have a serious mold problem on your hands, you will need to respond with a more robust and aggressive course of action. Calling Secure Restoration will get you a team of mold remediation experts who will apply tried and proven methods to remove the mold and keep the affected space mold free. Upon arrival, the team will don protective suits. This is done to defend them against the mold spores that will inevitably infest the air when the spores are removed from the walls and other surfaces. The team will also seal off the affected area so that none of the infected air is allowed to migrate to other rooms. Negative pressure will also be set to expel the bad air from the space. It is essential to prevent mold regrowth in the space in which it was just removed from. To this end, the Secure Restoration team will apply special chemical solvent to the wall and surfaces. The solvent used will stop mold from germinating and taking root in the space again. A high pressure, high-efficiency vacuum will then be used to collect the remaining mold particulate. The mold will then be collected and properly disposed of. Reclaiming a space that has been overrun with mold can be done easily and efficiently by contacting the experts at Secure Restoration for your mold remediation in Boynton Beach, FL. Standing water in your home can do a great deal of damage in very little time. Accumulated water that is allowed to sit will slowly and quietly eat away at the material that it comes into contact with. Not only will it leave a watermark, it will also seep through every crack and crevice that it can get through and weaken the very foundations of your house. Secure Restoration offers expert water damage restoration services to those who have suffered water damage in Boynton Beach. Our professionals have extensive experience in dealing with water damage restoration. The company also employs the latest technology to make the process of water damage restoration in Boynton Beach a great deal simpler. One of the first things that must happen after you’ve managed to remove the water is the drying out of the space. 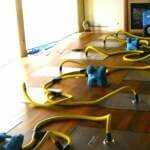 Secure Restoration uses heat mats and other types of equipment to speed this process along. 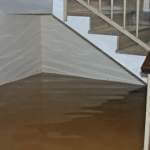 The longer floors, carpets, cabinets, and upholstery are allowed to soak in water the harder it will be to recover them. Another important part of water damage restoration in Boynton Beach is assessing the extent of damage done to the material structure of your house. Although you may not be able to see it straightaway, the spaces that have soaked in water may have undergone corrosion beneath the surface. It is vital that the spots that have been weakened by the presence of water are identified immediately. Secure Restoration has the equipment to make that possible. Our team will use special imaging devices that will detect the places that have been severely impacted by the water. A fire is composed of a number of elements that give it its destructive power. There is, of course, the flame which burns through and consumes everything in its path. However, the heat, high pressure, and smoke of a fire are also quite pernicious. Smoke can leave ugly stains on the walls and surfaces of your home, while heat and high-pressure warp and mangle the material foundations of it. To have a fire in your home is to experience a truly devastating event. You will need all the help that you can get in order to recover from it. Some of the losses that you’ve incurred will be unrecoverable. But there are a great many more that can be reversed. You should start by calling in professionals who have the experience needed to make things right with fire damage restoration. Secure Restoration offers a number of solutions to counter fire damage in Boynton Beach. One of the most difficult and most painful things you will have to do after a fire is comb through the wreckage to see what is salvageable. Secure Restoration will have people on site who can help you get through this process with as little fuss as possible. Using the advice of our experts, you may end up recovering a great deal more than you otherwise would have. The dirt and grime and ugly black streak marks on the wall will become permanent if they are not treated immediately. Secure Restoration will use a specially made solvent to remove such marks from the surfaces of your home so that you can begin the process of reclaiming the spaces affected by the fire. Secure Restoration also has the capacity to trace the source of any lingering odors from the fire and expel them from your home. One of the most important solutions offered in fire damage restoration in Boynton Beach is evaluating the material condition of your home. 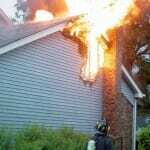 The fire may have caused significant damage to the infrastructure of your home. The places that you cannot readily see may have been most affected. Using a special imaging device, Secure Restoration will go beyond the walls to detect any degradation that may have come as a result of the blaze. Recovering from a flood requires a lot of hard work. Once you’ve removed the water, the balance of your effort must be spent in assessing and repairing the damage done by a flood. Rain or river water that has invaded your home will have likely swept away the whole of your possessions. Flood water that is a result of a burst pipe or faucet can also do considerable damage to the interior of your home. Secure Restoration offers flood damage restoration that is sound and sensible solutions to flood damage in Boynton Beach. It will take time to fully reclaim and recover areas that have been underwater. However, reversing the damage done to them need not be an insurmountable obstacle. One of the first things you may notice after a flood is an overpowering stench coming from those items that have been soaking in water. Secure Restoration will trace the origins of these odors and apply special chemicals to eliminate them. You will also need to go through the wreckage left by the flooding in order to identify those items that you can salvage. Secure Restoration can provide you with personnel who know what they are doing in this matter. Too many times people believe that anything that has been soaked by flood water must be thrown away. That is just not the case. The professionals at Secure Restoration will be able to cast an experienced and expert eye on each piece affected item and help you come to a sound judgment as to whether it can be recovered from the pile and made use of again. It is often the case that water-logged items simply need a bit of rehabilitation to make them useable again. Contact the professionals at Secure Restoration for flood damage restoration in Boynton Beach, FL. The accumulation of large deposits of water in your house requires a strong and vigorous response. Secure Restoration can bring the kind of equipment and expertise to bear that will meet such a standard. The company offers sound solutions for water removal in Boynton Beach. We use high power, high efficiency pumps to get the water out of your home. You will find that we can do this in a way that is quick and effective. Secure Restoration knows that the faster the water can be removed from your home the faster you will be able to get on with the rest of your restoration efforts. Our water removal teams have a lot of experience in dealing with this contingency, and they will be able to work in a fast and orderly way to clear your home of all standing water. What sets Secure Restoration apart from other such firms is its dedication to helping homeowners renovate and refurbish their homes after they have repaired and reclaimed them. Indeed, the latter cannot really be achieved if you, as a homeowner, do not feel comfortable in your house. Secure Restoration has a dedicated team of interior design specialists who can help you locate and choose furnishings, textiles, and curtains, and objects of all kinds with which to redecorate your home. You may have it in mind to completely redesign spaces that were badly damaged in the fire or flood, or you may be thinking of simply updating the appearance of the affected space. Whatever you have in mind, you will have the counsel and advice of professionals at Secure Restoration. Going through such a process can be difficult, especially if you were attached to your house the way it was. However, by partnering with a team that is knowledge, experienced, and sensible you will be able to get through it with a lot less difficulty. All final judgments on how you want the interior of your house to look will of course be up to you. But you will be able to depend on the team at Secure Restoration to give you practical and insightful advice as you attempt to put your life back together. You don’t have to let fire or flood destroy the dreams and hopes you had for your home. Let the experts at Secure Restoration help you get through the difficult process of repairing, restoring, and reclaiming your home. If you are in need of our services, then you should call today for a free quote. If the worldwide web is your preferred mode of communication, then you can send an email, which will be replied to promptly.